Body breaks down the homie Austin England's new skateboard hardware company, Sea Monster, and in the process curates a one minute art show with the entire staff at The Boardr offices. HiDefJoe and Body put together an extended version of Shopping with The Body that includes a session at John Montesi's house in a personal delivery of wholesale Shaqueefa goods from The Boardr. Did you know we're a distributor, too? Yep, Shaqueefa is our first brand after I made some modifications to our custom POS to handle and fullfill wholesale orders. Body's got the breakdown on Official in this new episode. One of our favorites, Stefan Janoski, has been repping Official for the last few years. With people like Rodrigo, Jamie Thomas, and even John Cardiel rounding out the team combined with top quality super tight designs, we're hyped to have Official in The Boardr Store. In this episode, The Body goes from lion head to Clements cut, courtesy of Bentley Salon and Uppercut Deluxe. We have a special Halloween edition of Shopping with The Body featuring Creature and a mass murder scene in The Boardr Store and offices. Porpe gets the Oscar on this one! Check out all our Creature stuff in stock with $1 shipping right here. In this episode of Shopping, The Body was in South Africa to showcase all our new Diamond gear in The Boardr Store. I think he had better luck than the locals digging up them gems, all in stock and with $1 shipping now in The Boardr Store. If you've been skating long enough to know the full history of Birdhouse Skateboards, you'll get a nice laugh out of Body's dedication in this episode. Check out all our Birdhouse stuff here with $1 immediate shipping. Matix has been stitching up top quality threads and backing a crew of ripping skateboarders since the late 90's. With SOTY's like Deawon Song and Marc Johnson on the skate team and fine bid'niss dudes that The Boardr runs events with like Gabe Clement, the crew there is tight all around. This week, Body breaks it down for you. This week, Body takes you on a Theories of Atlantis trip and tour of homies that have gone pro. 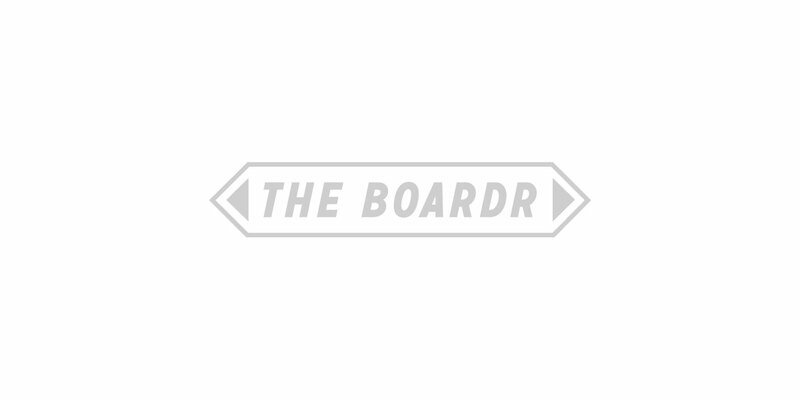 We're carrying all of their decks in The Boardr Store. This week on Skateboard Shopping with The Body features his own brand, Shaqueefa. It's an extra special one with a special guest and a special unveiling. This week Scotty The Body briefs you on AYC, where it came from in skateboarding, and some of the new drapes coming through The Boardr Store. Pick them all up right here online with immediate shipping or IRL at 4611 North Hale Avenue, Tampa, FL 33614. We're still on bankers hours at 11am to 6pm weekdays, but that will be changing and expanding soon. The Body is back this week with a new episode of Skateboard Shopping, this time with our friends at Dekline. Dekline Footwear is as near and dear to us as their Team Manager,Mike Sinclair, a regular associate of all things The Boardr does. Sometimes I think The Body is the East Coast Mike Sinclair. Check out his Dekline presentation for you here. The Body breaks down HUF and takes you through our selection at The Boardr Store, available both online and in our store in Tampa. All our HUF gear is in stock and shipping now. Skateboard Shopping with The Body is our new feature with Scotty Conley aka The Body who you might otherwise know as Chairman and CEO of the Shaqueefa threads empire. Body will be breaking down skateboard brands we carry in The Boardr Store and the history and story associated with each.